Most of these aspects are covered in the syllabus and it is possible to learn more about Korean Martial Arts if you want to. It even includes activities such as horseback archery! One thing you can say about Kuk Sool Won; there is so much to learn, you will never get bored! How Will Kuk Sool Won Benefit Me? Through the practice of traditional forms, correct falling techniques, self-defense techniques, weapons training and basic acrobatics, you will develop your aerobic stamina and increase your physical strength. You will also gain improved coordination and flexibility, as well as learning control and respect for others. We often get enquiries from adult interested in taking up a martial art. Some of them have done a martial art before. Others perhaps always wanted to but hadn’t the chance. One question that often comes up though, is “Am I too old?” Our response is always the same: No! There is so much to learn in Kuk Sool Won that there will be aspects that suit you. Furthermore, we try to do everything and we encourage you to try your best and adapt where necessary. 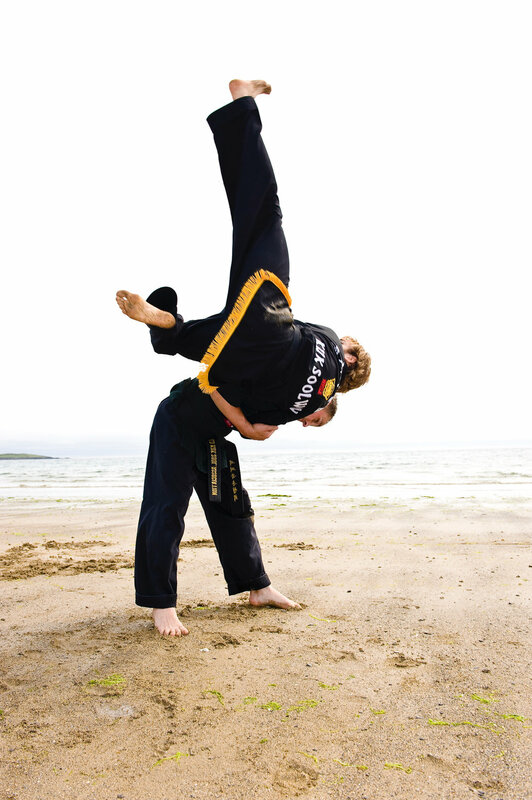 You may not be able to do absolutely everything in Kuk Sool Won; you can always do something. Our Teen classes provide Kuk Sool Won students with an opportunity to learn an intricate art form that develops physical fitness and flexibility. It is also offers them the opportunity to learn an extremely effective form of self-defense. Through the practice of traditional forms, correct falling techniques, self-defense techniques, weapons training and basic acrobatics, you will build aerobic stamina, increased physical strength, improved coordination and flexibility, as well as learning self-control and respect for others..
We started offering a dedicated women only class in September 2017. Whilst we are firm believers in gender equality, we were increasingly aware of the need for a gateway class that would offer women a chance to try Kuk Sool Won in a safe and non-judgemental environment. This class covers all of the same material as in our regular adult class. We are delighted to say that most women who try Kuk Sool Won through this class go on to train in the other classes.